The high vaulted halls of Bewan were originally built in the Merethic Era as a shrine to Trinimac. Bewan was abandoned early in the First Era when the priesthood moved to the grand Trinimac Chantry outside Skywatch. 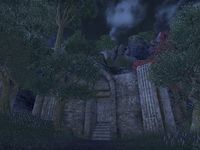 Bewan is an elven ruin on the western coast of Auridon, just southwest of the town of Dawnbreak containing Sea Viper soldiers. Some of the soldiers are acting drunk. Parts of the ruin are flooded with shallow water. Lost Bet: Help a ghost settle an ongoing wager. Through a Veil Darkly: Save a Wyress Oracle from the clutches of Mephala. Ruthless Competition: Help a group of treasure hunters find an Argonian relic before their competitor. 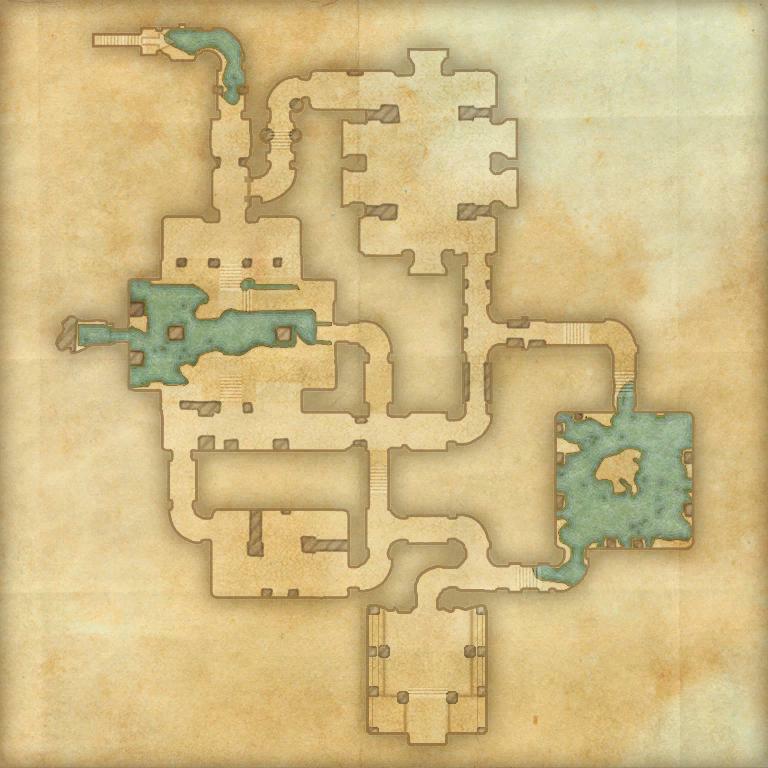 The large southernmost room of the dungeon was added in Update 16 to be used in the quest Through a Veil Darkly. In Update 17, a few Maormer corpses and passive spiders were added. This page was last modified on 24 February 2019, at 02:34.